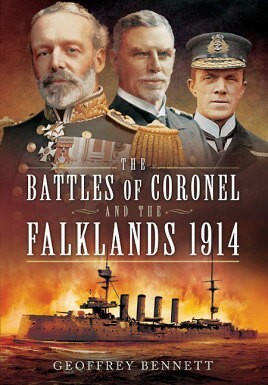 The defeat that Rear-Admiral Sir Christopher Cradock suffered at Coronel in 1914 at the hands of Maximilian Graf von Spee, one of Germany's most brilliant naval commanders, was the most humiliating blow to British naval prestige since the eighteenth century and a defeat that had to be avenged immediately. On 8 December 1914, the German squadron steamed towards Port Stanley, unaware that in the harbour lay two great British battle-cruisers, the 'Invincible' and 'Inflexible'. Realizing this, Spee had no option but to turn and flee. Hour by hour during that long day, the British ships closed in until, eventually, Spee was forced to confront the enemy. With extraordinary courage, and against hopeless odds, the German cruisers fought to the bitter end. At five-thirty that afternoon, the last ship slowly turned and rolled to the bottom. Cradock and Britain had been avenged.